What is a Plot Board? 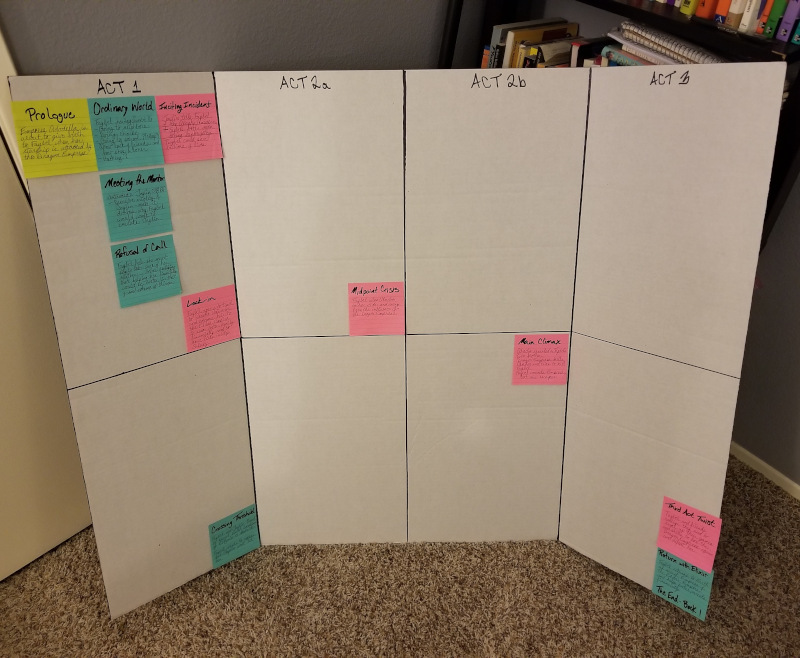 A Plot Board is a tri-fold board divided into a three-act structure to represent your story. You use post-it notes to list all the scenes for each act. This is a visual way to represent your story and see where it’s too weak or too busy. 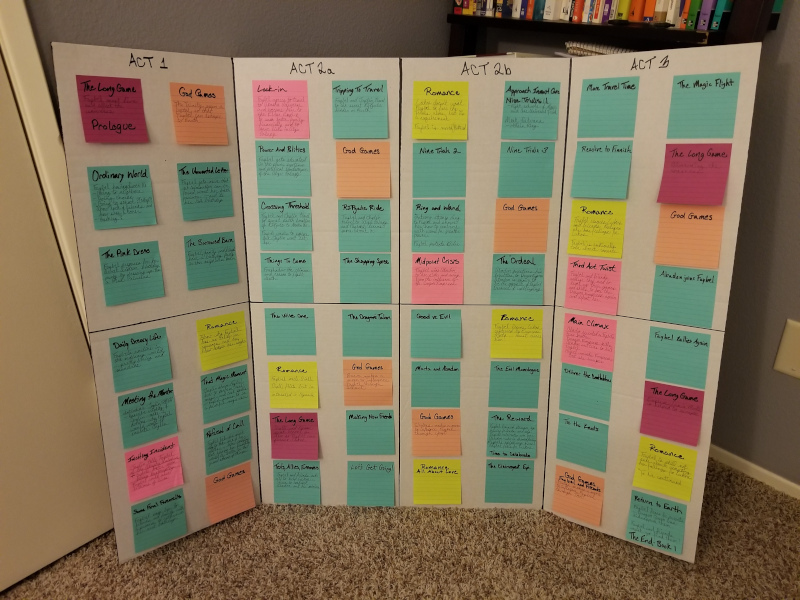 I used a tri-fold board of 48″ by 36″ combined with large, colored post-it notes to create my Plot Board. I learned to use a Plot Board when I took Shaunta Grimes free The Plotting Workshop online class where she explains how to set one up (click the link to take the course yourself!). I highly recommend taking the free course. Shaunta likes to use Christopher Vogler’s version of The Hero’s Journey as the outline to use to plot out your board (I also usually use the same outline for my stories). Previously, I only had my scenes outlined in Scrivener… but I found it hard to see where there were plot holes in the two-dimensional layout of the program. Next you want to add in your main plot scenes (I used blue post-it notes for mine) into the appropriate sections of the three acts. Don’t panic! These are sticky notes that you can move around as often as you need to. 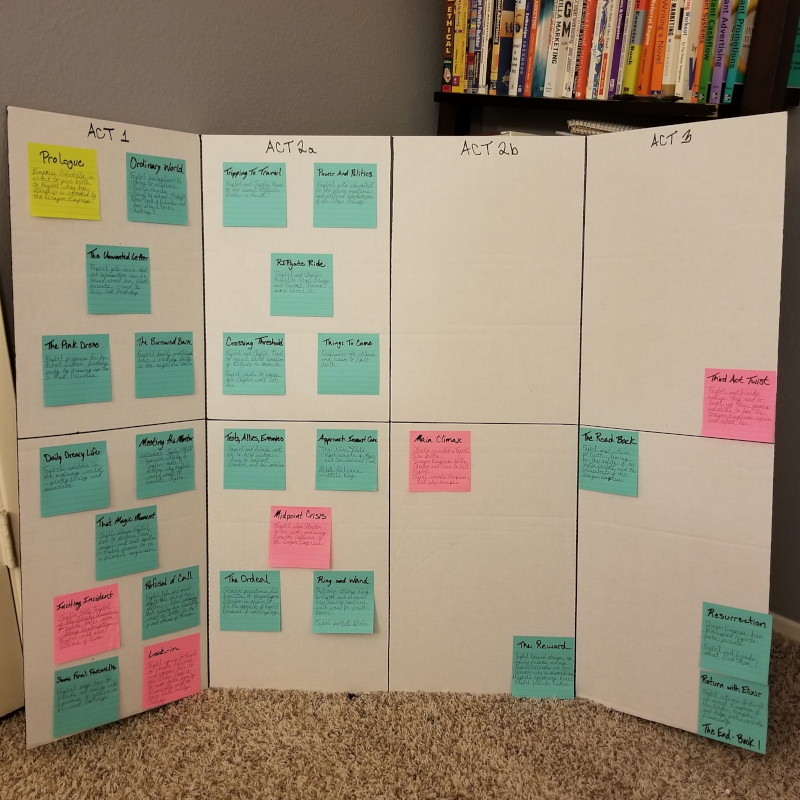 As you develop your story outline more, you’ll add more post-it notes to the plot board. Next, I matched my outline scenes up to The Hero’s Journey template using index cards. I divided mine into three scenes for each of the 12 sections of the template. This allowed me to see exactly where I had plot holes in my outline. You can divide your scenes differently, I used three simply because I’m OCD with the number three (2 or 4 are great options for division). Next, I added in blank post-it notes for the scenes needed to fill those plot holes. I also took this time to add in my sub-plots (Romance – yellow post-its, Games – orange post-its, and Long Game – purple post-its). I wound up having to add an additional 22 scenes to flesh out my entire Plot Board. So there you have it, your very own Plot Board! 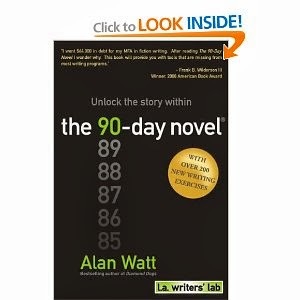 Now all you and I have to do is get down to the business of writing those scenes!